Indonesia’s e-commerce giant Tokopedia announced today that it has appointed Agus Martowardojo as the unicorn’s President Commissioner. Martowardojo joins Tokopedia as the company prepares to develop its ecosystem into infrastructure-as-a-service (IaaS), seeking to empower and strengthen Indonesia’s economy in an inclusive manner, both online and offline. “Tokopedia has been consistent in its mission to empower Indonesian society through technology and support a sustainable economy. I am pleased to join Tokopedia to support the company’s aspiration for inclusive economic development,” said Martowardojo. Martowardojo was Indonesia’s Central Bank Governor from 2013 until May 2018. Prior to that, Martowardojo held posts as Indonesia’s Minister of Finance (2010-2013) in which he was recognised as Finance Minister of the Year for Asia Pacific from The Banker (Financial Times) in 2012. He was also the President Director of Bank Mandiri from 2005-2010. Martowardojo brings over 30 years of experience as a banker, Finance Minister, and Central Bank Governor. His achievement in past was his active role in maintaining the stability and resilience of the Indonesian economy by optimizing monetary, macro-prudential, and payment policies as well as management of Indonesia’s Rupiah circulation. Martowardojo was the brain behind the Bank Indonesia 7-Day Reverse Repo Rate, which was said to strengthen the transmission of monetary policy and integrated inflation controls across Indonesia. During his tenure as Minister of Finance from 2010-2013, Indonesia achieved an improvement in its debt rating from Fitch and Moody’s. “Mr. 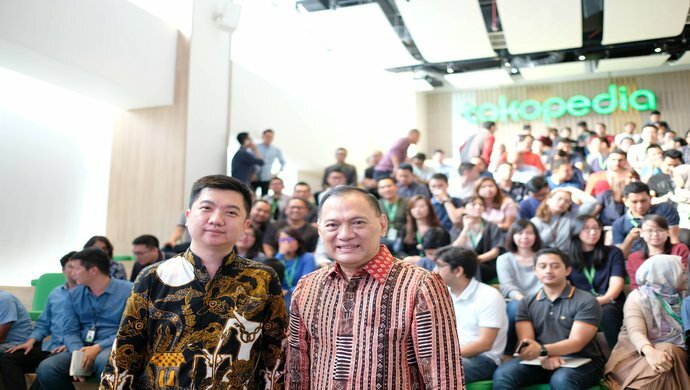 Agus Martowardojo’s experience and wisdom will be invaluable to Tokopedia and his guidance will help accelerate our mission to democratize commerce through technology,” said Tokopedia CEO and Co-Founder William Tanuwijaya.